Sometimes loss has its own timetable. Set on the shores of Lake Superior, Wreck follows high school junior Tobin Oliver as she navigates her father’s diagnosis of ALS (Lou Gehrig’s Disease). Steve’s life as a paramedic and a runner comes to an abrupt halt just as Tobin is preparing her application for a scholarship to art school. With the help of Steve’s personal care assistant (and family friend) Ike, Tobin attends to both her photography and to Steve as his brain unexpectedly fails right along with his body. Tobin struggles to find a “normal” life, especially as Steve makes choices about how his own will end, and though she fights hard, Tobin comes to realize that respecting her father’s decision is the ultimate act of love. Kirstin Cronn-Mills is a writer and teacher. Her novel Beautiful Music for Ugly Children won the 2014 Stonewall Award from the American Library Association, and several of her books have received both state and national recognition. She lives with her family and her goofball animals in southern Minnesota, which is entirely too far from Lake Superior. 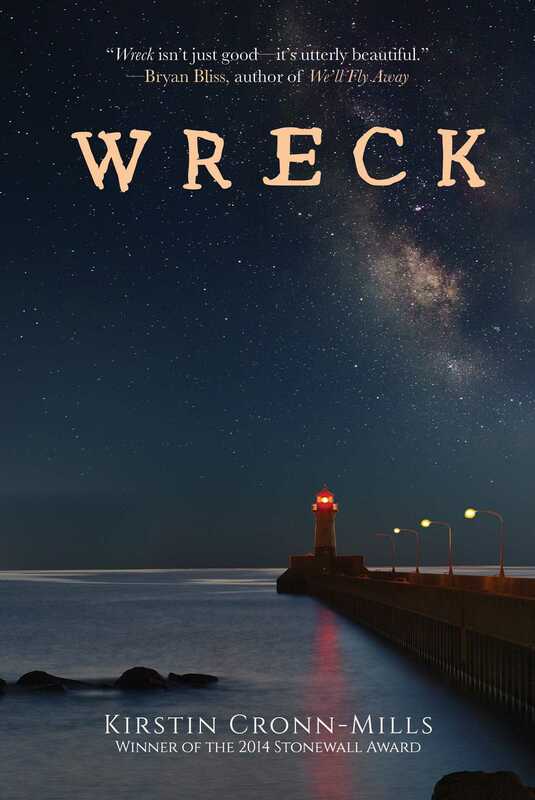 "Wreck wrecked me. Kirstin Cronn-Mills has a singular way of getting inside characters heads and making their stories come to life. This book will make you cry." —Bill Konigsberg, award-winning author of The Music of What Happens?